Want to get your kids interested in a good old fashioned past time? Or perhaps you have a relative that just loves minatures? With a Mini Model Shop voucher you can enjoy great savings on a wide range of diecast models and more. 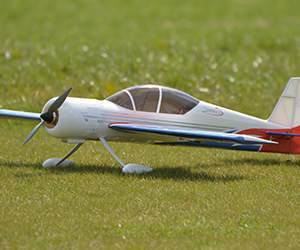 From model aircraft, bikes and cars to more modern remote controlled toys, a Mini Model Shop voucher will save you money while you shop. 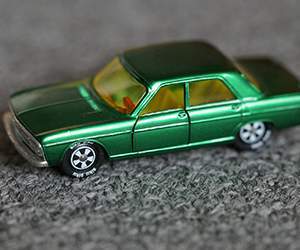 Mini Model Shop started life back in 2003 in Rochester, Kent, when the founders set out to establish a reliable and affordable online source of quality diecast models. Today, they are one of the UK's largest online specialist diecast stores, employing a small team of dedicated experts and supplying products to model fans around the country. Consisting of the same core team that launched the company over a decade ago, Mini Model Shop is passionate about the diecast model industry and aims to deliver the very highest level of customer service. So whether you're shopping for yourself or for a gift for a friend or family member, you can always be sure of fantastic help and advice on all their products. At Mini Model Shop's comprehensive online store customers can browse a wide range of products suitable for every budget and taste. 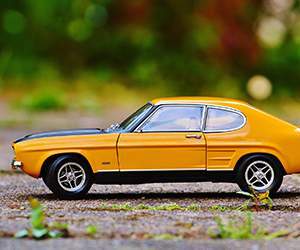 They have a fantastic selection of collectible diecast models in stocks including aircraft, bikes, buses, cars, commercial vehicles, farm machinery, military vehicles and race cars, as well as a fun range of modern remote controlled toys. They also offer products from all of the top manufacturers such as AUTOart, Bburago, Corgi, Franklin Mint, Kyosho, Minichamps, Maisto and more – so you can be sure of the highest standards of quality every time. Want that extra special finishing touch for a gift? Mini Model Shop offers a free personalised number plate service on most of larger scale models – a touch that's sure to bring a smile to anyone's face. They even boast a collection of film and TV memorabilia featuring busts, dolls, statues, figures and other collectibles from all your favourite cultural icons. Once you've chosen the products that are right for you, Mini Model Shop's simple and affordable delivery service will have your order winging its way to your doorstep in record time. Want to get shopping with Mini Model Shop? With a Mini Model Shop voucher you can enjoy great savings on their wide range of diecast models and more. So whether you're a keen collector or just getting started, a Mini Model Shop voucher will help you save the pennies. Browse our website until you find a Mini Model Shop voucher that suits you, then navigate to their website to begin shopping. Enter your email address and post code and click 'Next'. Enter your Mini Model Shop voucher and click to apply. If you've enjoyed shopping at Mini Model Shop you might also like to check out more great deals on toys and more at stores like The Disney Store or Mothercare. Or, if those aren't right for you, you'll find plenty more deals to browse in our Baby, Kids and Toys section. Click to make a secure payment. Standard UK delivery is free on all orders over £50. For orders under £50, a choice of delivery options are available including Courier and Next Day. If you need to return a product for any reason to Mini Model Shop, you can do so by simply returning your items in their original packaging within 7 days of receipt. Need to contact the team at Mini Model Shop? Whether you have a question about your order, want some expert advice on buying the right gift for a model-loving friend or simply want to find out more about saving money with a Mini Model Shop voucher, you can contact the Customer Services department by telephoning 08456 447044. Want to find out more about diecast models and toys with Mini Model Shop? Why not follow the company across your favourite social media networks? You'll find lots of exclusive content including promotions, competitions, product reviews and much more. You can also use these pages to find out more about how you could make big savings with a Mini Model Shop voucher. Don’t forget to check them regularly, as you can never be sure when a free Mini Model Shop voucher might be waiting for you! Buy now online at www.minimodelshop.co.uk. My dad has always collected model vehicles, and I love to treat him every now and then. The other day, I found a Mini Model Shop voucher online. 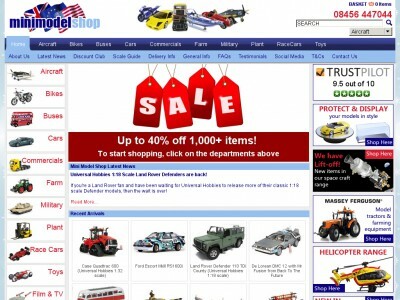 I can use my Mini Model Shop voucher at minimodelshop.co.uk to get fantastic deals on a great range of diecast models and more. With my Mini Model Shop voucher I'm able to get him something new every time I go and visit, and he loves adding to his collection. If you know someone who loves their models, see what you could save with a Mini Model Shop voucher.